In this recipe with a video I show you two methods for making homemade all-butter pie dough with all my favorite tips and tricks! On Monday I posted the Ultimate Pie Crust Guide where I made 6 batches of pie dough changing key ingredients and techniques to discover the ins and outs of pie dough. 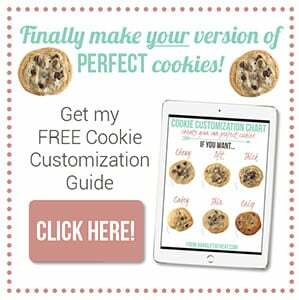 Now I’m going to show you EXACTLY how I make it, just in time for Thanksgiving! 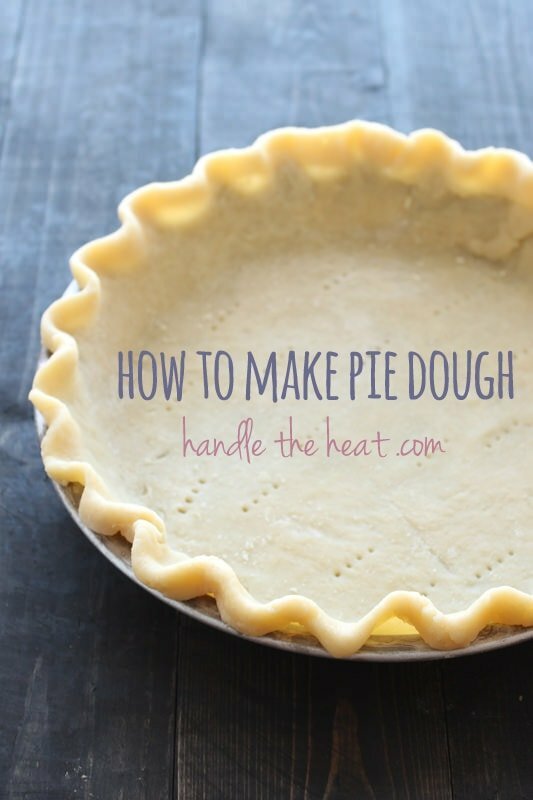 Watch the video below to see every step in making pie dough, both by hand and with a food processor. 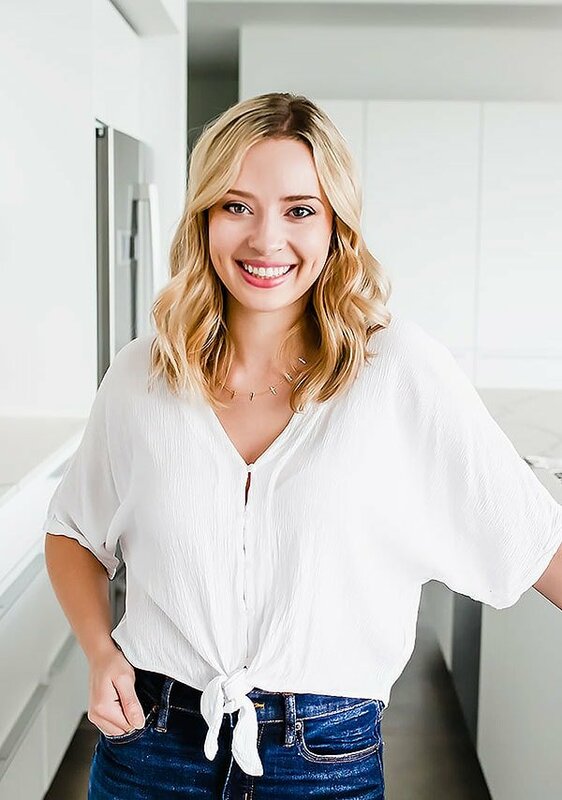 I’m sharing my most basic all-butter recipe which belongs in any home cooks’ recipe repertoire. Be sure to follow the recipe exactly! When it comes to pie dough, the measurements and times must be followed. Of course, use visual indicators to make sure the dough is coming together as it should but don’t estimate or skip any steps! Pie dough only has to be difficult when steps are skipped. In the bowl of a food processor, pulse the flour, salt, and sugar until combined. Add the butter, and pulse until the mixture resembles coarse meal, with larger chunks of butter remaining. Drizzle 2 tablespoons of ice water over the mixture and pulse until it just comes together without being wet, sticky, or crumbly. If the dough doesn’t hold together when pinched between your fingers, add another tablespoon of water and pulse. This can also be done by hand using a pastry blender. Place the dough onto a large sheet of plastic wrap. Shape the dough into a disk and chill in the fridge until firm, at least 1 hour or up to 3 days or make ahead and freeze, well wrapped in plastic, for up to 2 months. Defrost in the fridge overnight. Let the dough sit at room temperature for up to 10 minutes, or until slightly pliable, before rolling out on a floured work surface. Keep turning the dough after every roll to ensure it doesn’t stick to the counter and is of even thickness. Roll out into a 1/8-inch thick 12-inch circle. 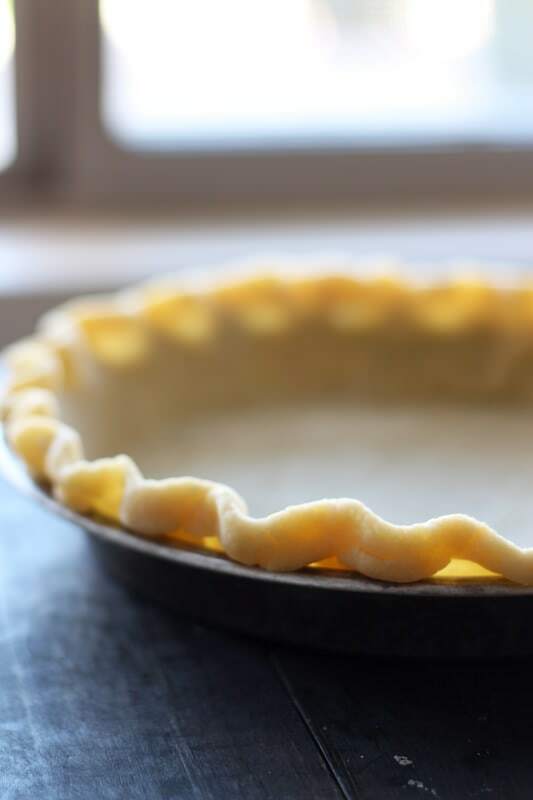 Gently roll the dough up and around the rolling pin then unroll and drape over a 9-inch pie tin. Gently press into the pie tin. Use scissors or a knife to trim the excess dough, leaving a 1-inch overhang. Crimp or decorate the edges and pierce the bottom of the crust all over with a fork. Place the crust in the freezer for 10 minutes. At this point you can place the pie tin (preferably a disposable one) in a zip-top bag and store in the freezer until ready to use. Defrost in the fridge overnight. The pie dough is ready to be filled if the pie recipe calls for an unbaked crust. If the pie recipe calls for a prebaked shell, preheat theoven to 400°F. Line the crust with foil pressed gently into the bottom and sides, leaving an overhang. Fill the crust with pie weights. Bake for 15 minutes. Remove the crust and carefully lift the foil with pie weights and set aside. Return to the oven and continue cooking for another 10 to 12 minutes for a partially baked shell, or 15 to 17 minutes for a fully baked shell. Double this recipe for enough dough to make a double-crust pie. Great video. I noticed in your recipe that you call for one stick of butter and then say 4 ounces. Did you mean 8 ounces? Hi! 1 stick of butter is 4 ounces! 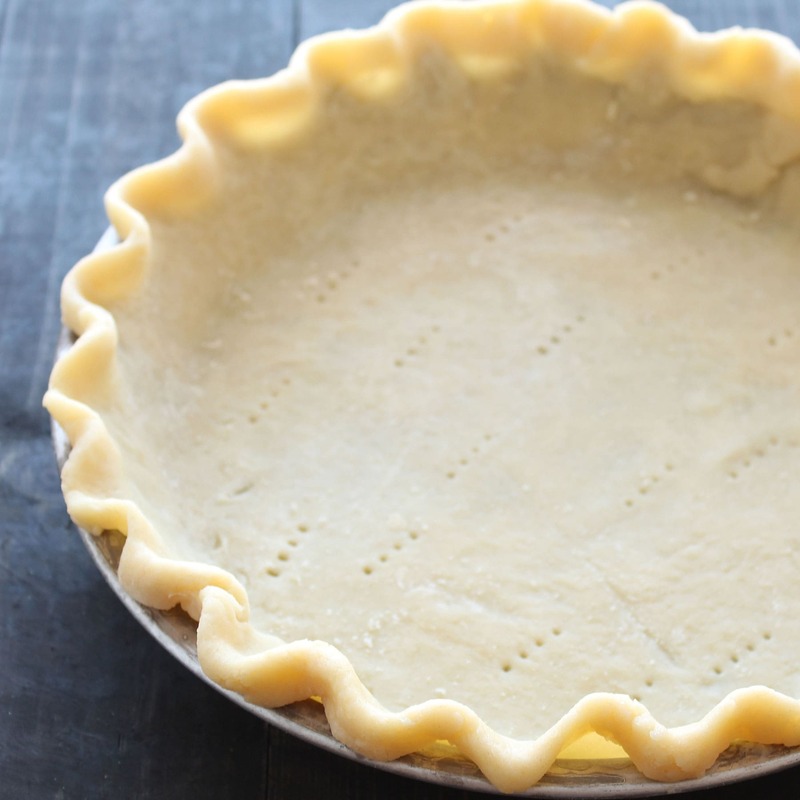 Thank you so much for the video on making perfect pie crusts! I love to make pies but I can never make a good crust. I will be trying your techniques the next time I make pies for this Thanksgiving. My favorite pie is all of them! My husbands favorite is pineapple. Once again thank you! I did my hand pie crusts (and flour experiment) by hand because I hate my food processor. It does look quicker, so I may give it a try. Pinning the video for next time! Why unsalted butter and then add salt? Just curious. Thanks for taking the time to make the video. Much easier to follow than just reading a recipe. I will try this recipe next weekend. 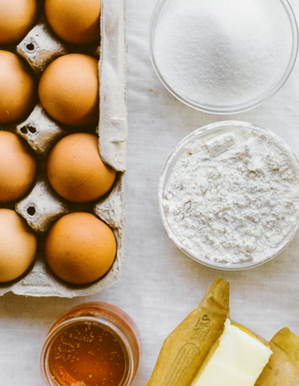 WHAT KIND OF ROLLING PIN ARE YOU USING? A pie crust is more delicate and flaky, and a tart crust is more like a shortbread cookie and more crumbly. They can both be used for savory fillings, though you may want to omit any sugar in the dough recipe. When rolling out the dough… Would it be possible to roll it between 2 sheets of parchment paper as you had shown for sugar cookies, or is the pie dough not sturdy enough to do this as it would stick your the paper? I was wondering to perhaps flour the paper instead of my small countertop? Thank you Tessa! Of course I haven’t got the scraper nor the item to mix the dough with by hand. Definitely do not own any mixer. So now I’ll have to use my wits to freeze the butter just enough to withstand the heat of my hands as I use them to crumble it into the flour mixture. LOL! Just another baking challenge for me, but thanks to you… I come VERY WELL ARMED WITH KNOWLEDGE! Yes! Usually my parchment paper isn’t quite big enough to do this which is why I just roll it out on the counter. But if it is, feel free! Apparently if you wrap the butter in foil it is easy to grate the frozen butter ……..